Assassin’s Creed Odyssey Credits: 100% Safe,professional AC Odyssey Credits Online store. 1. Please Provide Us Your Uplay Account Information: (The Uplay Account Should A Be Email Address) We Will Deliver The AC Odyssey Credits To Your Account. 3. Delivery Time: 5 Minute(s) - 30 Minute(s) Enjoy The Game! You can get the Assassin's Creed Odyssey Helix Credits for free in-game one time during initial stage of playing, but this is the only way. 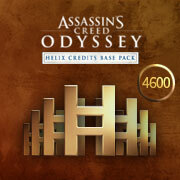 Assassin’s Creed Odyssey rewards you with a few Helix credits near the start of the game, for completing the first few story missions. But you can use real money to Buy Assassin's Creed Odyssey Helix Credits with lowest price on Joymmo.com. Most of game playing platforms can be supported, such as PC (Microsoft Windows), PlayStation 4 (PS4), Xbox One, and Nintendo Switch. 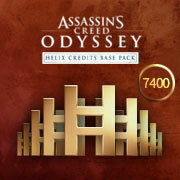 Players can purchase outside of the cosmetic items like skins and mounts in Assassin's Creed Odyssey marketplace with enough Helix Credits. The game currency of Assassin's Creed Odyssey is mostly used by anyone that wants to cut down on the time they spend getting things.